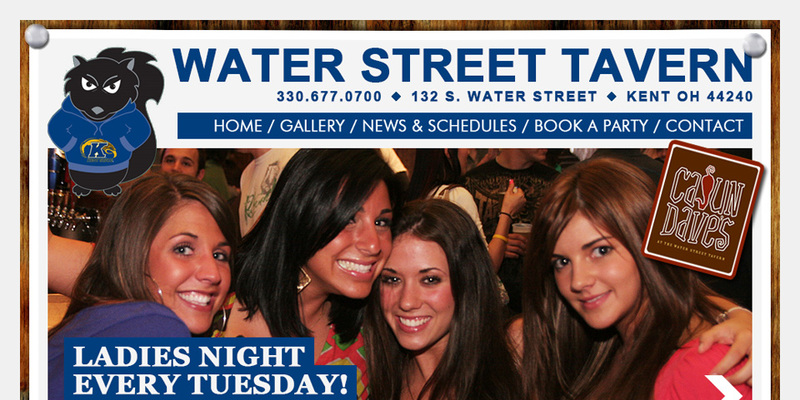 The Water Street Tavern - featuring fantastic bands, food and drink specials since 2001. This is the third version of the WaterStreetTavern.com Website we have launched in the past 9 years. Not that we’re biased or anything, but we think this is absolutely the most rockin’ version yet! The concept for a Website as a paper flyer was quite fun to design. A little Twitter and WordPress blog install gives the staff all the control they need over site contents. We’re not sure what v.5 is going to look like a few years from now, but we’re definitely going to enjoy this one for a while!